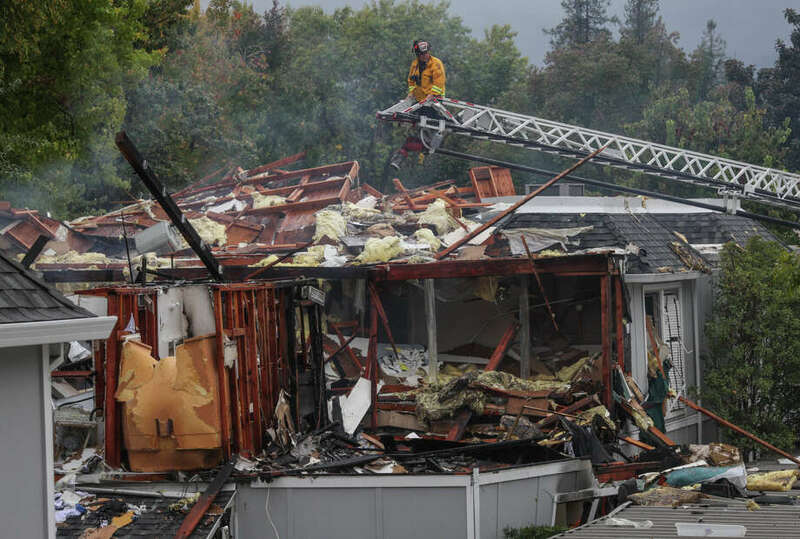 A Walnut Creek explosion injured three people and destroyed at least four apartments. Fire investigators have confirmed the blast was caused by butane, which was being used to manufacture hash oil. Although the suspects were severely burned in the explosion, they could face criminal charges. Authorities said the blast occurred at approximately 10:20 a.m. on Saturday morning. Contra Costa Fire District Battalion Chief Jim Howard confirmed the explosion caused damage in a 200-foot radius around the Sunnyvale Avenue apartment. Karen Barca, who witnessed the incident, said “it was like a bomb went off.” Carol Olson, who lives across the street from the apartment, said the explosion sounded like loud thunder. Authorities confirmed 50 people were forced to evacuate their homes. Amid the chaos, two men attempted to flee the scene. Both men were eventually captured and transported to UC Davis Medical Center in Sacramento, where they remain in critical condition. Officials believe the men were inside the apartment where the blast originated. At least one other man was injured in the explosion. However, his injuries are not life threatening. As reported by KTVU News, some residents were permitted to enter their apartments to retrieve personal belongings. However, it could be weeks before they are allowed to return. At least four apartments were completely destroyed and 12 remain uninhabitable. The evacuees are being offered assistance by the American Red Cross and several local organizations. Firehouse reports that the Walnut Creek United Methodist Church provided temporary shelter to the displaced residents. Although three people were injured and numerous apartment were destroyed, Chief Howard said the incident could have been far worse. If the blast had occurred in the evening, the streets would have been lined with trick-or-treaters and their parents. As the explosion happened in the morning, many residents were away from home. As authorities continue to investigate the Walnut Creek explosion, the community is thankful that nobody was killed.